April 28, 2017 – Legacy Recordings, the catalog division of Sony Music Entertainment, will release AMERICAN EPIC: The Collection, a 5-CD/100 song deluxe box set, and AMERICAN EPIC: The Soundtrack, a single disc anthology of 15 songs featured in the AMERICAN EPIC three-part historical documentary (1LP or 1CD), on Friday, May 12. AMERICAN EPIC: The Collection and AMERICAN EPIC: The Soundtrack–each available digitally or as physical product–lead the way for a series of releases of music associated with the film series AMERICAN EPIC, produced by Allison McGourty, Duke Erikson and Directed by Bernard MacMahon, premiering in the U.S. on PBS on Tuesdays May 16, 23 and 30 at 9 p.m. (check local listings) and in the U.K. on BBC in May. The AMERICAN EPIC historical documentaries are a journey back in time to the “Big Bang” of modern popular music. AMERICAN EPIC: The Collection gathers 100 of these original recordings from the 1920s and 1930s in one five-disc set, restored to unprecedented levels of sonic fidelity. For these releases, compiled by Director Bernard MacMahon, engineer Nicholas Bergh refined a transfer process using a mix of both modern and vintage equipment in order to extract the remarkable resolution from the records that is often missed. This ‘reverse engineering’ approach to the transfer process enabled the restoration team of Grammy Award-winning engineer Peter Henderson, Duke Erikson and Joel Tefteller to get the resulting audio closer to the original performance than ever before. This is not “remastering,” in the normal sense, but something closer to fine art restoration. The intent is not for people to marvel at the antiquity of these discs, but rather to experience them as vital, immediate performances that speak to us as directly as they did on the day they were recorded—not simply great art for their time, but great art for all times. It includes a 100-page book filled with stunning unpublished photographs, quotes from the artists, their friends and families, lyrics for every song, essays and recording notes. Among the artists included are Mississippi John Hurt, The Carter Family, Charley Patton, Jimmie Rodgers, Lydia Mendoza, Nelstone’s Hawaiians, Big Chief Henry’s String Band, Robert Johnson and many others. Columbia Records will release AMERICAN EPIC: The Sessions the soundtrack to “THE AMERICAN EPIC SESSIONS” directed by Bernard MacMahon. In “THE AMERICAN EPIC SESSIONS,” the team has reassembled the very first electrical sound recording system from the 1920s, and invited Jack White and T Bone Burnett to produce an album of recordings by twenty of today’s greatest artists. In this beautifully filmed musical feature, these artists are given the chance to pass through the portal that brought the world into the modern era. Engineer Nicholas Bergh has reassembled this recording system from original parts and it is now the only one left in the world. The system consists of a single microphone, a towering six-foot amplifier rack, and a live record-cutting lathe, powered by a weight-driven pulley system of clockwork gears. The musicians have roughly three minutes to record their song direct to disc before the weight hits the floor. In the 1920s, they called this “catching lightning in a bottle.” All the musical performances in this film are live. The audio you hear on the soundtrack is taken directly from the discs they were recorded to, with no editing or enhancements. 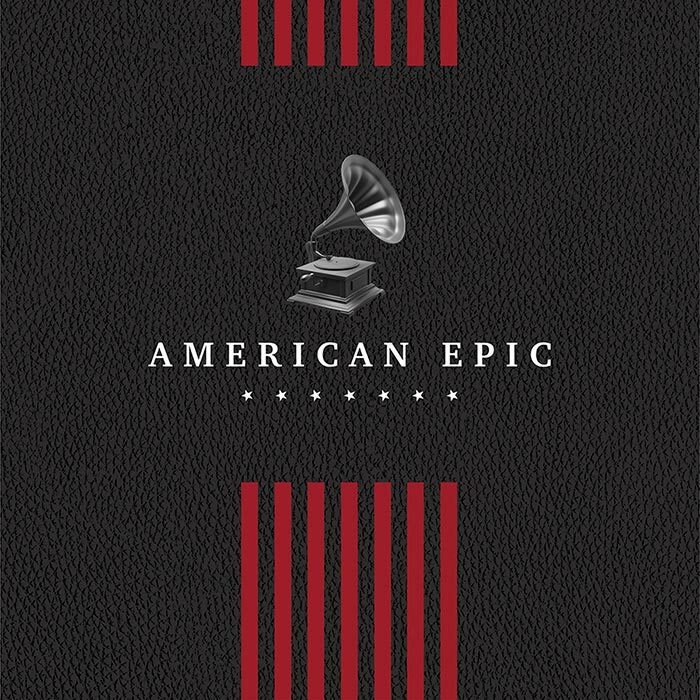 AMERICAN EPIC: The Sessions, soundtrack features: Alabama Shakes, The Americans, Ana Gabriel, Ashley Monroe, The Avett Brothers, Beck, Bettye LaVette, Bobby Ingano, Elton John, Frank Fairfield, Jerron “Blind Boy” Paxton, Los Lobos, Lost Bayou Ramblers, Nas, Pokey LaFarge, Raphael Saadiq, Rhiannon Giddens, Steve Martin and Edie Brickell, Taj Mahal, Jack White, and Willie Nelson and Merle Haggard. “THE AMERICAN EPIC SESSIONS” airs in the U.S. on PBS Tuesday, June 6 at 8 p.m. (check local listings) and in the U.K. on BBC in June. On June 16, Third Man Records is slated to release a Triple LP version of AMERICAN EPIC: The Sessions on 180 gram vinyl as well as 12″ audiophile vinyl versions of AMERICAN EPIC: The Carter Family, AMERICAN EPIC: Memphis Jug Band, AMERICAN EPIC: Mississippi John Hurt, AMERICAN EPIC: Blind Willie Johnson and AMERICAN EPIC: Lead Belly, as well as thematic collections including AMERICAN EPIC: Blues and AMERICAN EPIC: Country. The companion book, AMERICAN EPIC, will be available May 2 from Touchstone. Bernard MacMahon and Allison McGourty’s fascinating account, written with the assistance of prize-winning author Elijah Wald, continues the journey of the series with a behind-the-scenes look at the incredible journey across America searching for these recordings and eyewitness accounts. It features additional stories, exclusive never-before-seen photographs, and unearthed artwork. It also contains contributions from many of the musicians who participated, including Taj Mahal, Nas, Willie Nelson, and Steve Martin all of which will reveal a new understanding of America to the world and future generations. PBS International, the co-production and distribution arm of PBS Distribution, is distributing AMERICAN to broadcasters and media companies worldwide. Several international broadcasters including BBC (United Kingdom), ARTE/ZDF (France and Germany), Canal Plus (Spain), and Channel 8 (Israel) have already signed on to air the film in their territories. PBS, with its over 350 member stations, offers all Americans the opportunity to explore new ideas and new worlds through television and online content. Each month, PBS reaches nearly 103 million people through television and over 33million people online, inviting them to experience the worlds of science, history, nature and public affairs; to hear diverse viewpoints; and to take front row seats to world-class drama and performances. PBS’ broad array of programs has been consistently honored by the industry’s most coveted award competitions. Teachers of children from pre-K through 12th grade turn to PBS for digital content and services that help bring classroom lessons to life. PBS’ premier children’s TV programming and its website, pbskids.org, are parents’ and teachers’ most trusted partners in inspiring and nurturing curiosity and love of learning in children. More information about PBS is available at www.pbs.org, one of the leading dot-org websites on the Internet, or by following PBS on Twitter, Facebook or through our apps for mobile devices. Specific program information and updates for press are available at pbs.org/pressroom or by following PBS PressRoom on Twitter. Celebrating its 40th anniversary this year, Arena is the world’s longest running arts documentary strand. Anthony Wall has been a director since 1978 and series editor, succeeding Alan Yentob, since 1985. Arena is dedicated to arts and culture high and low, from Visconti to Hip Hop, from Dylan and The Beatles to Nelson Mandela. In 2000, Arena was given the Special Medallion at the Telluride Film Festival for its contribution to “cutting edge film making”. It was there that Werner Herzog, a fellow medallion recipient, declared Arena to be “the oasis in the sea of insanity that is television.” Other awards include the Prix Italia, Primetime and International Emmys, the Peabody, nine BAFTAS and twenty-five nominations, six Royal Television Society awards and numerous honors from all over the globe. Lo-Max Films, founded by Allison McGourty, Bernard MacMahon and Duke Erikson is an award winning film and music Production Company. It handles the direction, editing and music composition for the American Epic series. It has compiled the music releases and developed, with Nicholas Bergh at Endpoint Audio Labs and Grammy Award winning audio engineer Peter Henderson, the innovative audio transfers and restoration on the archival titles. Third Man Records was launched by Jack White in Detroit, MI in 2001, and in 2009 opened its current Nashville, TN location which houses a record store, novelties lounge (featuring the Third Man Record Booth), label offices and distribution center, photo studio, and the world’s only live venue with direct-to-acetate recording capabilities. Third Man is an innovator in the world of vinyl records and a boundary pusher in the world of recorded music, aiming to bring tangibility and spontaneity back into the record business and issue releases that leave no doubt in the minds of listeners that music is indeed sacred. The American Epic vinyl releases will be pressed in Third Man’s brand new state-of-the-art pressing plant in Detroit, MI. WNET is America’s flagship PBS station and parent company of THIRTEEN and WLIW21. WNET also operates NJTV, the statewide public media network in New Jersey. Through its broadcast channels, three cable services (KidsThirteen, Create and World) and online streaming sites, WNET brings quality arts, education and public affairs programming to more than five million viewers each week. WNET produces and presents such acclaimed PBS series as Nature, Great Performances, American Masters, PBS NewsHour Weekend, Charlie Rose and a range of documentaries, children’s programs, and local news and cultural offerings. WNET’s groundbreaking series for children and young adults include Get the Math, Oh Noah! and Cyberchase as well as Mission US, the award-winning interactive history game. WNET highlights the tri-states’ unique culture and diverse communities through NYC-ARTS, Theater Close-Up, NJTV News with Mary Alice Williams and MetroFocus, the daily multi-platform news magazine focusing on the New York region. In addition, WNET produces online-only programming including the award-winning series about gender identity, First Person, and an intergenerational look at tech and pop culture, The Chatterbox with Kevin and Grandma Lill. In 2015, THIRTEEN launched Passport, an online streaming service which allows members to see new and archival THIRTEEN and PBS programming anytime, anywhere: www.thirteen.org/passport.